How can the members of Colonial Baptist Church easily create four additional occasional use rooms in their large 39 by 66 multipurpose room? The answer, by using four Screenflex accordion-like portable walls. Since the most efficient use of space is by using straight walls, this is exactly what the members do. 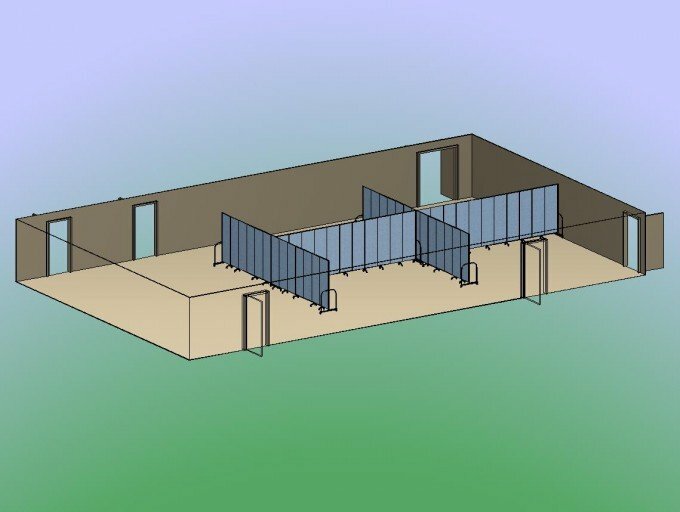 They use two 21 long portable walls and two 24 long portable walls as shown on the plan to create the needed rooms. All the acoustical walls are tackable, absorb sound, and can easily be set up in a couple minutes. Required storage space is minimal.